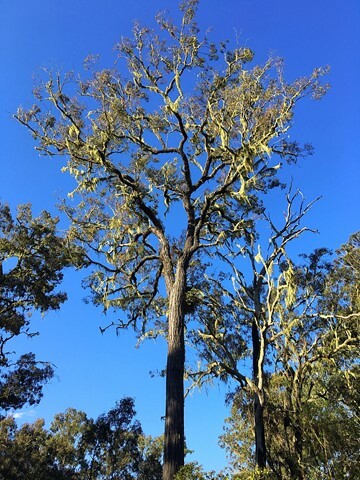 The Araucaria walk, the longest of the the two walks in the Jimna State Forest, begins with a short walk across a suspension bridge at the end of the camping ground. 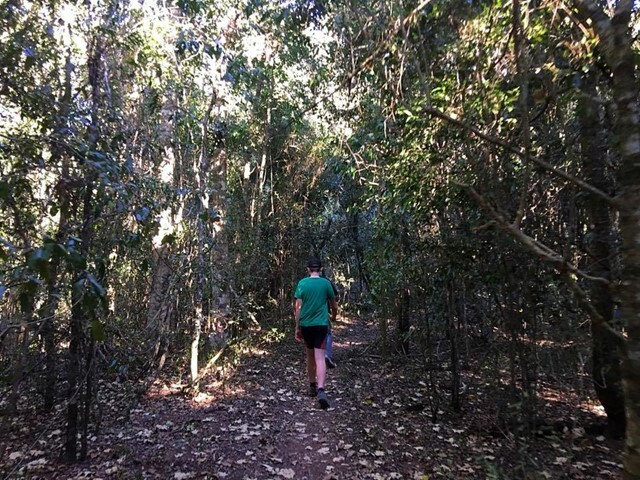 The 3.2km walk takes about an hour and takes you through open bushland at the start into a hoop pine/dry rain forest. As it winds through the forest, you ascend gently and walk around a dry river gorge. There's plenty of bird watching in the early morning and late afternoon. 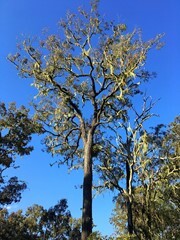 Look for (and hear) bell miners (bellbirds), finches, sulphur crested cockatoos, Australian wood ducks and wood swallows and many more species. Staghorns and elkhorns can be seen in part of the rainforest. Move back into grassland before reaching the suspension bridge. None, but if you stay over, camping fees apply. Did this walk while camped for the weekend at Peach Trees Camping Area. 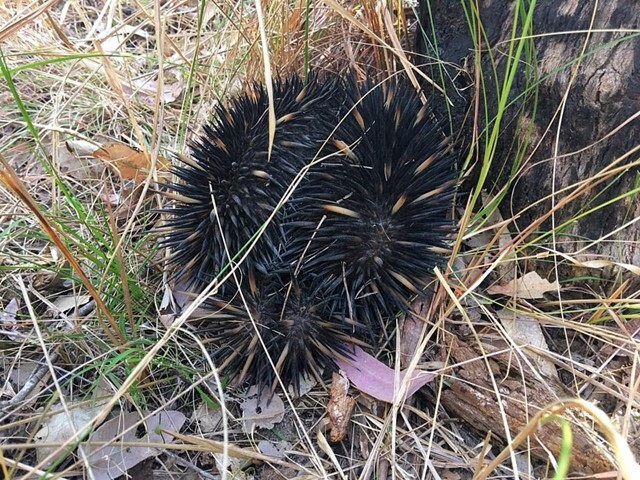 A lace monitor and an echidna were the wildlife spotting highlights during the walk.